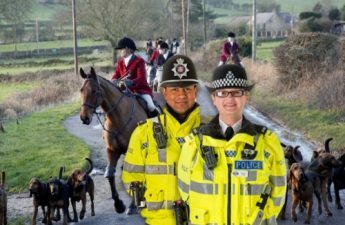 Andrew German, huntsman with the Cheshire Forest Hunt, has been extremely lucky, thanks to the Cheshire Police and CPS. Back in 2017 he escaped prosecution under the Hunting Act for having been responsible for killing a fox and most recently, in January 2019, he has escaped prosecution yet again, this time for violent assault as the Cheshire Constabulary say there is insufficient evidence to bring him to justice. A fox hunt in progress with anti hunt protesters attempting to prevent a fox from being killed. Andrew German, clearly identifiable, riding his horse aggressively toward a protester. Mr German, on horseback, chasing after a fleeing protester, remonstrating with them and then striking the protester viciously with the rigid handle of his whip. As noted, this violent assault was witnessed by many people and video recorded from three separate vantage points. Yet multiple video recordings and witness statements are apparently insufficient evidence, according to Cheshire Police. When did it become acceptable for anyone to commit such an extreme act of recorded violence and yet escape prosecution? 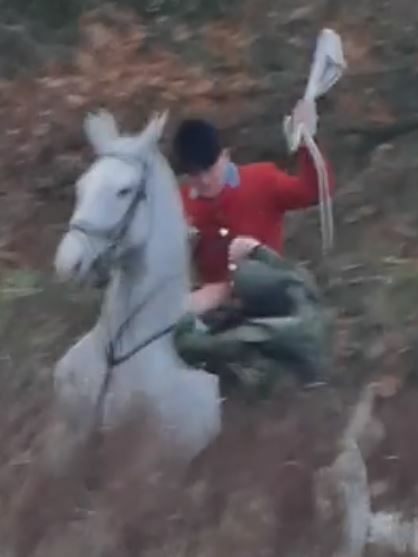 Imagine for a moment that, instead of a mounted huntsman, a similar act of violence was perpetrated by a thug on a motorbike, wielding a stick, chasing someone down and then beating them – and this was all recorded on video and the perpetrator was easily identifiable. Would the violent motorcyclist get away scot-free? Highly unlikely. While it’s understood that gathering the evidenced required in order to secure a conviction can be very challenging, in this case there has been an abundance of irrefutable evidence to support the clear fact that Mr German violently assaulted a protester with a weapon. He is clearly identifiable both from the video evidence and from witness statements. His behaviour reflects his apparent frustration which boiled over, prompting him to chase the protestor and viciously beat them with the rigid handle of his whip. 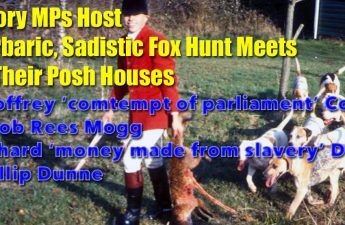 If Mr German failed to confess his crime to the police and his fellow hunts-people also stuck to their ‘no comment’ responses when interviewed by the police surely they are guilty of perverting the course of justice. Once upon a time fox hunts were widely respected throughout the British Isles. But those days are long gone as public awareness of the barbaric practices employed by these groups has been widely shared. 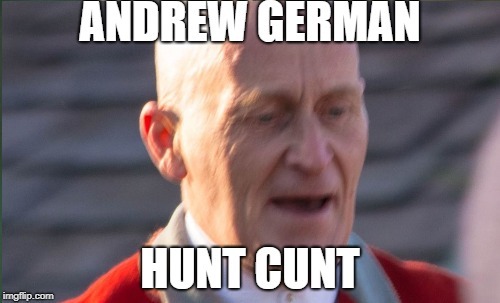 Watching Mr Andrew German, on horseback, actively persuing a scared, running, female hunt protestor in order to then beat them with his whip handle confirms the mindset of this violent individual who appears to enjoy police protection. It’s about time the questionable behaviour of the Cheshire Police was subjected to an independent investigation…. it will come!